Can PR and Marketing Make Craft Beer Taste Better? We’re going to see a bubble burst in the craft beer world. When? We’re not sure. But we’re sure it’s going to happen. Much like dot-coms, yoga studios, snowboard and surfboard shapers, too many are springing up and there’s not enough demand or differentiation for the long term. What’s going to help them succeed? Better branding, public relations and an overall excellent marketing strategy that lives outside the brewery. In modern brewing, Saint Archer has led the charge with their marketing. Don’t believe us? What do you think the apparel sales is at your local brewery? 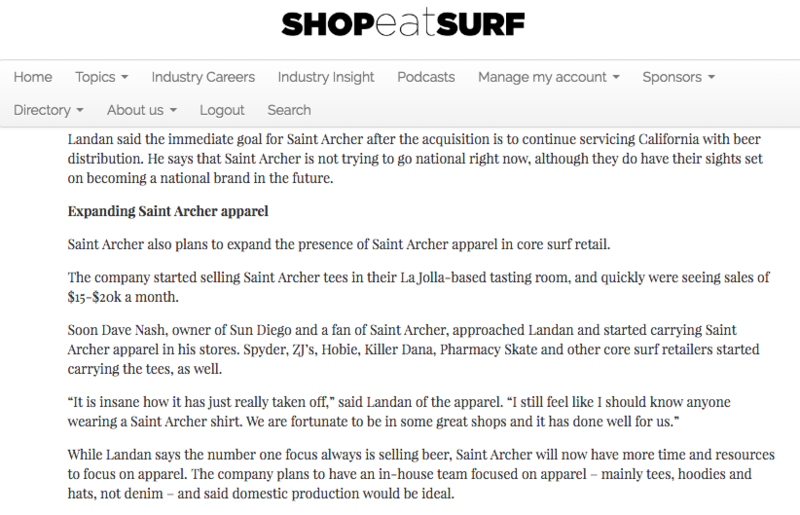 Now look at this article from Shop-Eat-Surf highlighting the sales of Saint Archer’s logo sold on t-shirts and hats (btw – it helps that their apparel is quality, not the discount t-shirts many breweries sell). If you’re not a subscriber of that newsletter, here’s a snippet. Some people love Saint Archer. Some don’t. What they’ve done right, among other things, is develop a brand identity that lives beyond beer. Ask your favorite small to mid-sized brewery what their apparel sales are, in the brewery, each month. We’ve worked with some of the biggest and smallest brands in the industry, including Saint Archer, June Lake Brewing, Pabst, Primo and Guinness. The one thing they all did well when we worked with them was to develop an identity that lived outside the brewery. As of December 2015, there were nearly 600 craft breweries in California alone and 240 in the planning phases! Some will content to be small batch brew pubs, nano breweries, etc., and there’s nothing wrong with that. 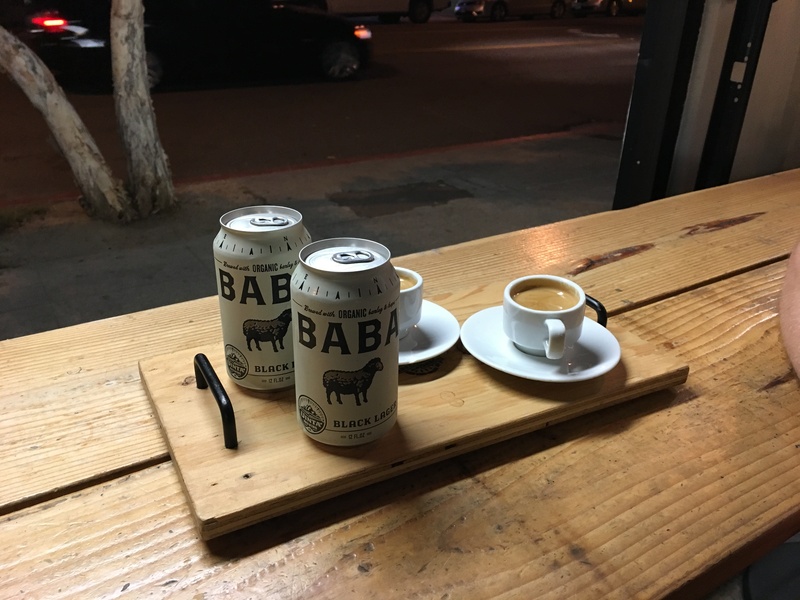 For those looking to grow and thrive through distribution, it’s going to take more than great taste to separate them from the pack. 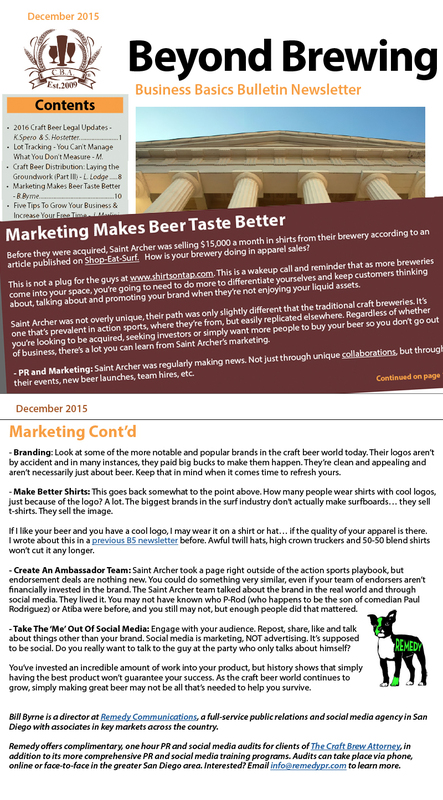 Our most recent newsletter in The Craft Beer Attorney’s B5 Newsletter hits on that. If you don’t subscribe, here’s a PDF of it. Double click the image if it opens too small on your screen. Want More tips? Give us a call or drop us a line at PRCheckup@Remedypr.com. Like what you’ve read? Please click the LinkedIn share button below!